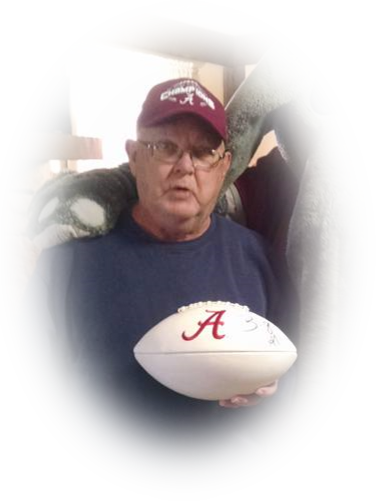 John W. Turner Jr. of Somerville, AL passed peacefully on November 27, 2018 at the age of 76. Although born in Portsmouth, VA, John spent most his life in Huntsville, AL. He is a 1960 graduate of S. R. Butler High School. He served in the Army National Guard from 1964-1970. He retired from TVA in June 1999 after 29 years. He is survived by his wife of 53 years, Scherrie Jones Turner, son Steve Turner (Mary Margaret) of Russellville, AL and daughter Julie Turner Smith (Bobby) of Valhermoso Springs, AL. John will also be remembered fondly by his four grandchildren Amanda, Jessica, Jasper, Jacob and one great-grandchild Emmet. He is also survived by sisters Lucille Turner and Shirley Duffie of Huntsville, AL and a brother Robert Turner (Kandy) of Franklin, TN. John deeply loved his family and was self-sacrificing throughout his life in order to provide for his family. He often gave up luxuries for himself to allow his children and grandchildren to be spoiled! Visitation will be Thursday, November 29, 2018 from 5pm-7pm at Spry Funeral Home at 2411 Memorial Pkwy NW, Huntsville, AL 35810. Funeral service will be at the same location on Friday, November 30, 2018 at 2pm. Interment will be immediately following at Huntsville Memory Gardens at 6810 University Dr NW, Huntsville, AL 35806.